Every now and again BMW end up pairing with a computer hardware manufacturer to make something to marvel at. 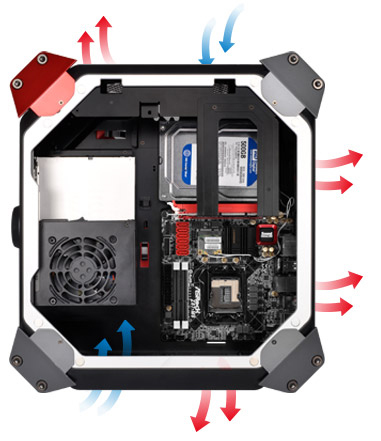 One of the most famous in recent times was the Thermaltake Level 10 case, a PC chassis designed to separate all the important components into their own cooled area. This week however saw the launch of the ASRock M8, a barebones PC system for builders based on the mini-ITX form factor. This chassis is designed to be light weight, thin by moving the discrete GPU onto a daughter board, and use a control system on the front not to dissimilar to the BMW iDrive used in the M-Series BMW sports cars. For the barebones case, users will get a 450W SFF PSU, the ASRock Z87-M8 motherboard (supporting Haswell processors, 2x SO-DIMM memory and six SATA drives) and a combination DVD-RW. On the case itself is a slim slot ODD, four USB 3.0 ports at the front (although in black), the iDrive front system that switches between temperatures, fan speeds, volume and the time, a pull down slot with audio jacks and a card reader, and the light weight handles which makes this case easy to pick up. 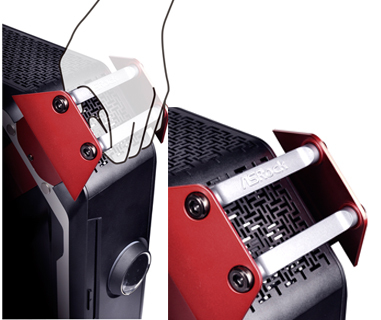 The insides are a snug fit, with ASRock supporting GPUs up to 290mm. It is suggested that GPUs should not exceed 200W in order to keep the PSU in its optimal efficiency window (and also for heat dissipation). 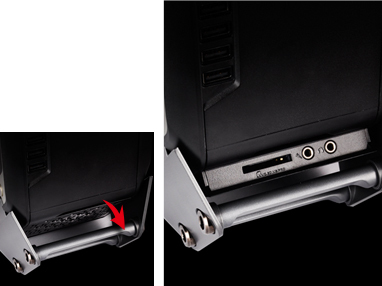 The side panels are magnetic, allowing users to pop them off easily when the case is unlocked: The motherboard is also fitted with 802.11ac WiFi and a Sound Core 3D audio codec from Creative. The package comes with three months subscription to XSplit, a package designed to help recording and livestreaming gaming easier, as well as new software called Key Master, that allows with a push of a button to increase the dpi of a mouse for sniper mode. As you can imagine, this is probably a limited run unit to be sold in North America first. No idea on the pricing or full release – I have a unit in to test and it came with an import list of ‘$1000’, which is a bit of a stretch, but it is properly engineered as much as I have had a play. 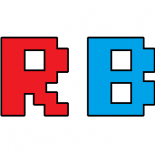 The motherboard has only four power phases and they are not covered in a heatsink, which would suggest that low power processors are preferred for this build. This entry was posted on 2013/10/07 by Ian Cutress in Cases and tagged ASRock, BMW, Cases, Haswell, Intel, M8, Z87.